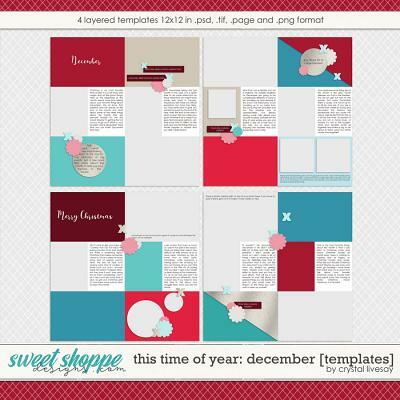 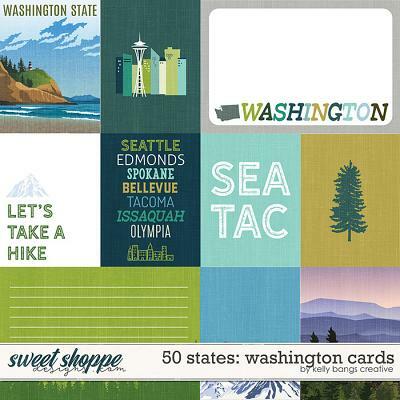 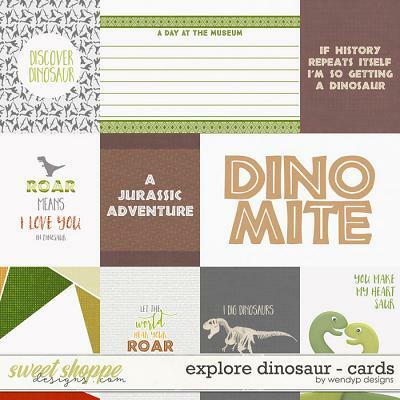 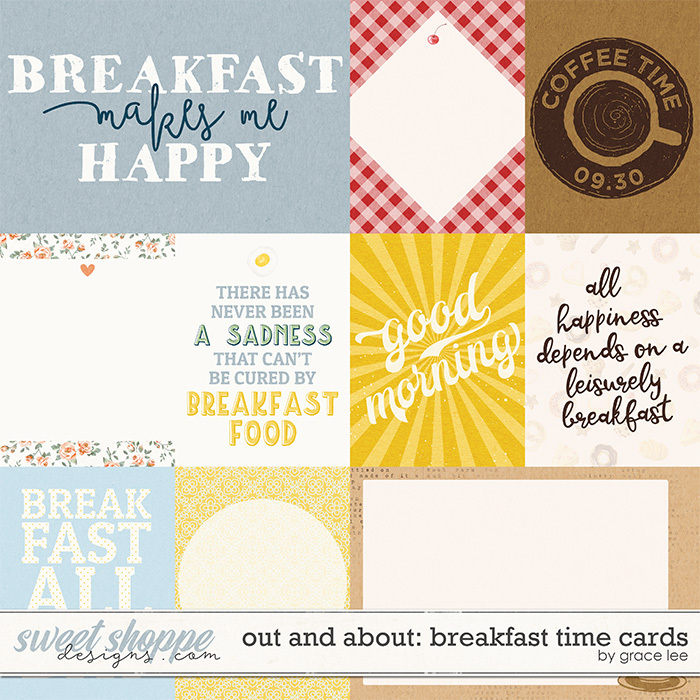 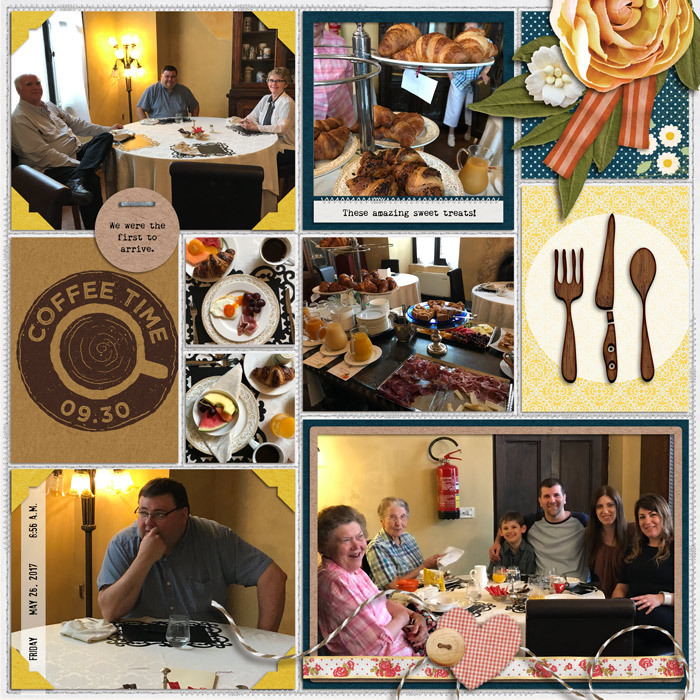 A digital scrapbooking pack by Grace Lee, Out and About: Breakfast Time Cards is fresh, full of (coffee!) 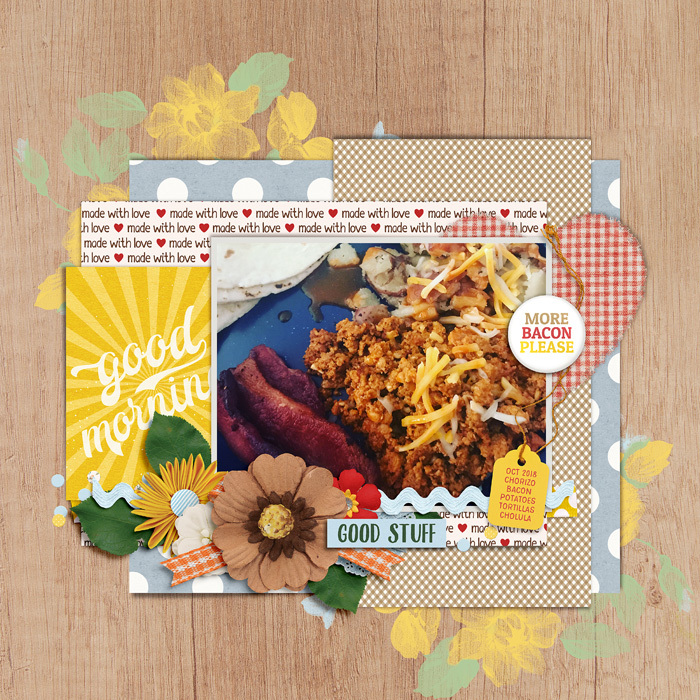 beans and positivity – perfect for scraping and journaling about those wonderfully lazy mornings spent together as a family, chatting over bacon & pancakes, without having to rush off to school, office or gym! 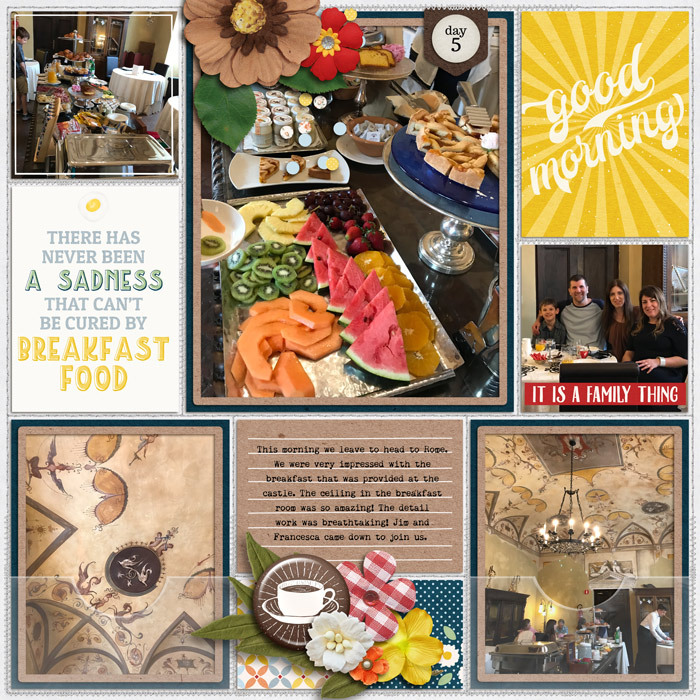 A palette of sunny yellows, roasted browns plus hints of red and marmalade orange complement. 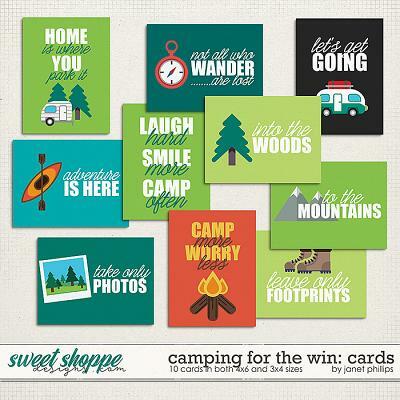 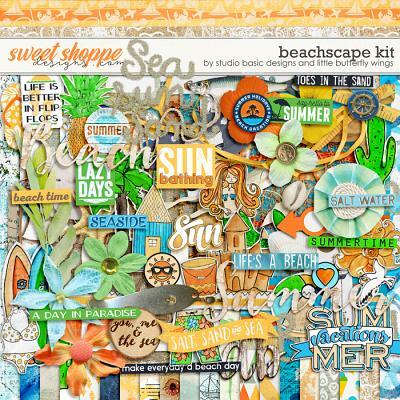 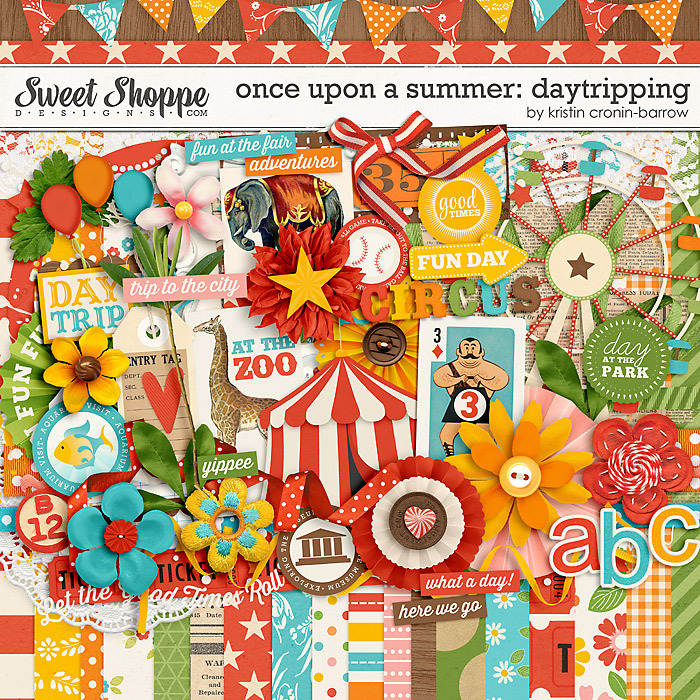 the delectable imagery, pretty floral touches and homey patterns that fill this feel-good kit.